Iran’s President Hassan Rouhani requested Turkey to stop its operation in Afrin, Syria, as soon as possible. During a press conference in Tehran on Feb. 6, broadcast by state-run IRINN TV, Rouhani said the operation will bear no fruit. He added that Turkey's army members as well as people from the opposite side are killed in the operation and Iran is not satisfied with that. He also stressed that gaining the permission of the Syrian government is a necessity for the operation. “Our ties with Turkey and Russia are very good, but our principled stance is that entry of a country's army to another country should be on consent of the people and government of that country. 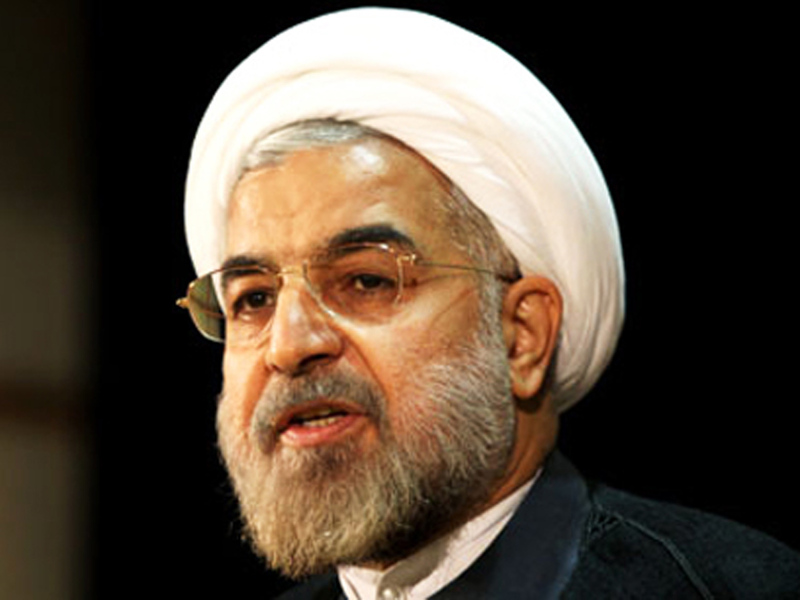 Otherwise, that would not be right,” Rouhani said. On Jan. 20, the Turkish Armed Forces, together with the Free Syrian Army, launched the Operation Olive Branch in Afrin, Syria. F-16 fighters of the Turkish Air Force are involved in the operation, inflicting strikes on the positions of PYD/YPG on the Syrian-Turkish border. Rouhani emphasized that Iran has good relations with Syria, Russia and Turkey, underlining that cooperation between Iran, Russia and Turkey is necessary for establishing peace in Syria. He also condemned the US presence in the territory of the Syria. Elsewhere in his remarks, Rouhani said the Islamic Republic favors dialogue among regional countries. He underlined that political approach and dialogue are the basic solutions for problems. “We are talking to the regional countries and countries outside the region to resolve issues,” Rouhani said, underlining that people of the region should themselves decide about their future. "Foreign powers should not interfere in the internal affairs of the region's countries," he added.